Connecting your GoDaddy domain to an existing blog you have can seem complicated. 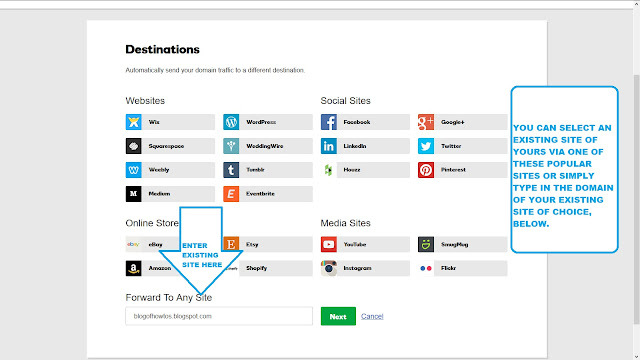 Especially, if you run an internet search looking for easy ways on how to do this. Those "easy" ways don't seem that easy. 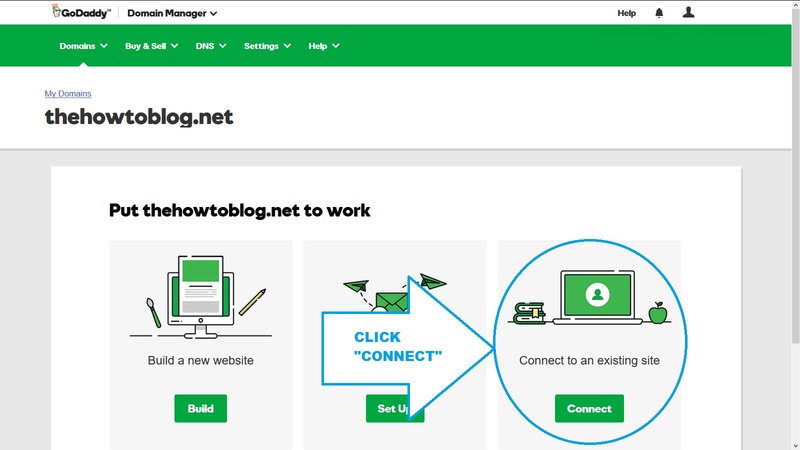 If you're simply just looking for a quick, easy way to route your custom GoDaddy domain to your blog, social media site, or any existing site for that matter, then you'll definitely want to keep reading. To make it even easier, I've included a photo for each step—click on the image to enlarge. 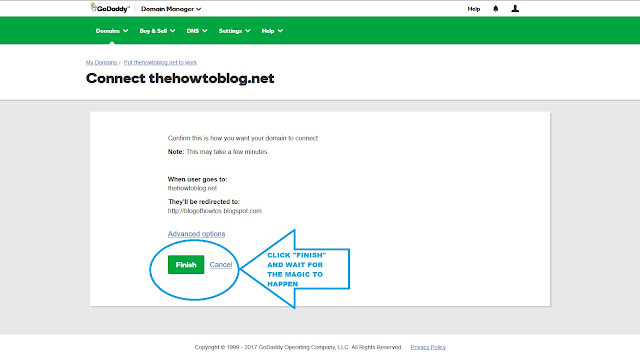 Next to your new custom domain, you should see a green button that says, "Use My Domain"
Now that you are on the "Put [your domain] to work" page, Click the green button that says "Connect" under the third option "Connect to an Existing Site"
Now that you've made it to the Confirmation page, click "Finish" to complete the process. You will need to allow at least an hour or so, for the process to complete. 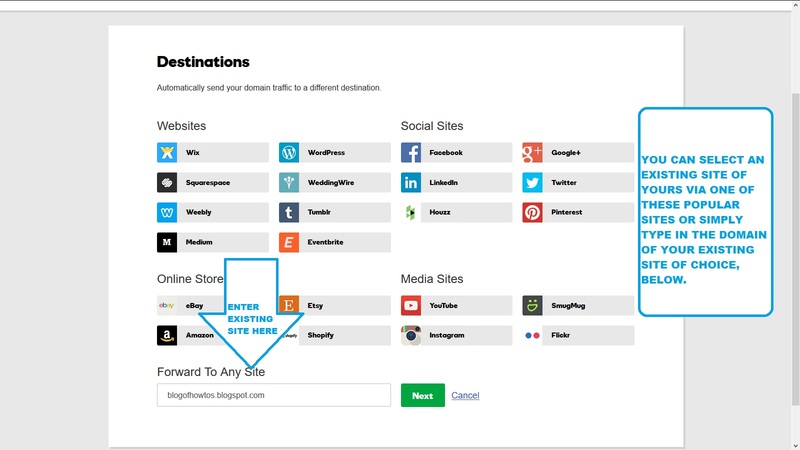 If you would like to forward your domain to your existing site with Masking, click "Advanced Options". Selecting this option will mask your blog/site URL with your custom GoDaddy domain.